Butterflies are so beautiful and wonderful pollinators. It's always a surprise to see one appear and to watch their graceful flight is an absolute blessing. Watching butterflies is a spectator sport. It's mind blowing to know home many species of butterflies exist in the southwestern United States. It's mind blowing to see how many exist in North America, other regions of the Americas and the rest of the world. Why collect Hot Wheels when you can catch a glimpse of beautiful, delicate butterflies? There are particular plants, colors and specific nectar found in flowering plants that will attract butterflies to you property all season long. If you live in southern California or the Southwestern United States, you can have butterflies all year long if you plant the right host plants. A host plant is a plant that butterflies will decide to lay their larvae. When the larvae eventually turns into a caterpillar, the host plant will then be their food. There are other factors in attracting butterflies besides colorful plants. Butterflies are just like people .. we all like specific locations, climates, colors and groups of people. The color of your plants, the topography of your property (are you desert, mountain, coastal, forest? ), and the climate (is your property cool, hot or mild?) of your yard can also determine what sort of butterflies will be attracted to your property and if they’ll lay their larvae. Different species enjoy hot arid, others enjoy cold or mild climates. We all know that the climate in the West and Southwestern U.S. can change daily or have extended periods of hot, dry weather. Extreme weather conditions usually need specific plants. Look for native plants or plants from similar climates or hardiness zones that will more than likely thrive. Native plants will definitely attract butterflies. 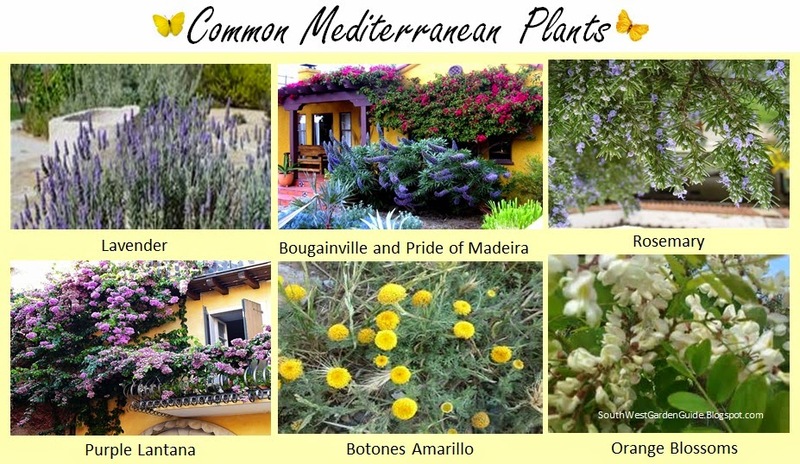 I’m in hardiness zone 9b and I’m able to add a colorful and hardy plants that are actually native to the Mediterranean. My climate is close to Turkey and Italy. My local nursery usually carries different varieties of butterfly plants from around the world. Nectar plants or hanging nectar bottles should be set in a sunny spot to encourage the butterflies to land on them. Most butterflies like to feed where it’s sunny and in an open space. Gardens definitely need both host and nectar plants to attract lots of butterflies. Host plants are where butterflies lay their eggs and where caterpillars grow. Host plants will be eaten by the caterpillars, so put them in a location away from any of your fruiting plants as like tomatoes. That way, caterpillars will have a long way to travel if they decide to feed off of your heirloom tomato plants. Nectar plants will be frequented by adult butterflies. Butterflies feed off of nectar plants. Nectar plants will keep those pretty butterflies from wondering into your neighbor’s yard. Growing colorful nectar plants to attract butterflies is like a kid in a candy store. The butterflies will be happy helpful pollinators. With consistent food growing everywhere they’ll lay their larvae and the cycle of butterfly life will soon begin in your garden. If you find you're having problems with ants climbing your plants, grow in a pot and keep water in the saucer underneath the pot. This will keep ants from climbing on the plant and attacking the butterflies. Butterflies find it really hard to fly when it's windy. If you live in a windy place, provide protection from the elements with tall hedge plants or walls of plants. 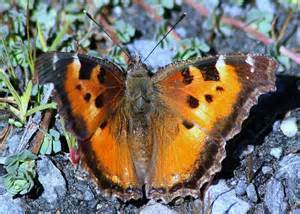 Most butterflies eat nectar from flowers, though some eat sap, dung, and other things. 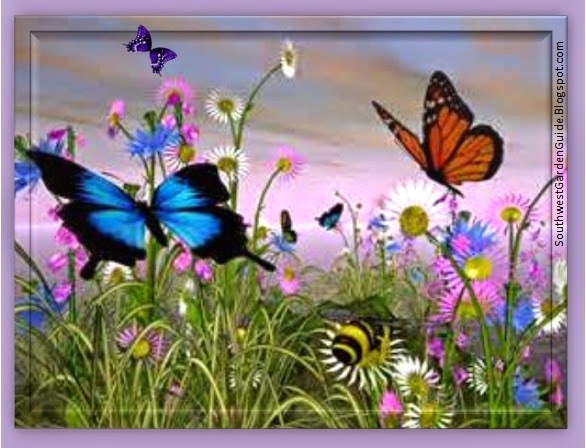 If you have color, flowering plants with nectar, host plants .. . you'll attract butterflies. alfalfa, coreopsis, houstonia, and verbena.